AWB Ltd supplies a quality subcontract service in the manufacture of low and high volume wire formed products. 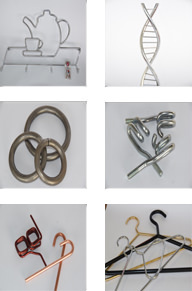 Ranging from Diameter 1.4mm to Diameter 12mm wire in mild steel, stainless steels, galvanised steel, spring steels and many other ferrous and non-ferrous materials along with all welding, coating and packaging requirements. Definitely no customer too big or small.